When do I pay for my move? Local Moves: Payment will not be due until the move has been completed at the final destination. Long Distance Moves: Half of the total moving cost is due at the beginning of the move while the remaining amount is not due until the move is completed. Is there a deposit required to book my move? No, Woody & Sons does not require any deposits on local or long distance moves. Do I tip my movers? Tips are generally paid in cash and a good rule of thumb for tipping movers is a minimum of $25.00 per packer or helper and a minimum of $50.00 for the driver/foreman. If you believe that the movers have done an extraordinary job then you may want to tip them more than this. Generally, the largest tip a mover ever receives is $100.00 per person. What about loss, damage or theft? Woody & Sons is fully licensed and insured per Florida guidelines. Per the guidelines we will cover $.60 on the pound for any lost, damaged or stolen goods. However, Woody & Sons does offer additional in house coverage and do make attempts to handle all claims individually while offering repairs or replacement in most cases. What size are the trucks that are being used? Woody & Sons carries both 16 foot and 26 foot trucks on our fleet! What will happen in the event of rain? Woody & Sons staff frequently works in the rain. In the event of rain we will make our best call as to whether or not it is safe, for our staff and your belongings, to keep moving. If needed we will sit and wait the rain our and/or reschedule the move in hard storms. Will an in home estimate be required? No, in most moves an in home estimate is not required though it is suggested on larger moves. Customers can request an in home estimate at any time as we offer free in home estimates on every move. What happens if I need to change my move date or cancel my move? Woody & Sons Moving does not believe in deposits as there are too many variables in moving. Should you need to change your date and/or cancel the move, we will happily do so, free of charge! When does the hourly clock start and stop? Our clock will start at the door of your first location and will end upon completing your move at your final destination upon completion of the move. Are there any hidden fees or taxes applied? No, Woody & Sons moving has no hidden fees outside of the hourly, fuel and service fee (may change fuel and service to a our hours time trip charge) while there are no taxes on the services. There are taxes applied to any rented and/or purchased moving supplies such as boxes, tape, packing paper and etc. What if I my move takes more or less that the time estimated? All hourly clocks are based on actual time only therefore you will only be charged for the time moved as the estimate is just an estimated moving time for your planning. Can we leave the clothes in our dresser draws? Yes, but use your judgment. If the dresser is oversized and bulky and coming down stairs, take the clothes out please. Can I pack my fragile items? While most consumers prefer to have our professionals pack their fragile items for coverage purposes, yes you are welcome to pack your own fragile items. Be sure to ask us for packing tips and to label your boxes with the detail of the content inside. What items should I, the consumer, plan to take with me in my vehicle? You should plan on transporting all valuables, such as money, jewelry, coin collections and important papers such as deeds, stocks and bonds. You much also transport all items that are flammable, explosive or corrosive. Lawn mowers and other gasoline-powered engines must be emptied of oil and gas. In addition, gas cans should be washed out to avoid fumes. Items affixed to the walls or ceilings must be removed. This includes ceiling fans, light fixtures, drapery rods, etc. Articles located in an attic or overhead storage level are suggested to be brought to floor level for packing and/or loading. Refrigerators and freezers should be emptied and defrosted prior to load day. What items will Woody & Sons not transport? What can we do to save time/money on our move? Breaking down your beds, desks, dressers w/ mirrors, and any other items that may need to be broken down as this is one of the more timely processes of moving in addition to furniture wrapping. Click For An Instant Quote! Once again another fantastic move!!! I've been using them for the past 8+ years. Always do a great job. Very prompt and careful with my furniture. The guys were on time, careful with my stuff and worked hard. My only criticism is I think the issue of what kind of insurance to use/buy should be brought up way before move day and not when you are in panic mode. Makes you wonder if done purposely. Outstanding, The smoothest move ever. The team rapped all the furniture and took the time to place each piece in the truck. The best part they took their time with my wife placing the furniture where she needed them to. I will get them again for the next move. Using Woody and Sons was probably the best decision we ever made. We were moving our belongings from a storage unit to a new house. Horace and Chris went non-stop until the job was done. They were fast and very careful with our belongings. We hope to not move for a long time, but if we do, we'll gladly use Woody and Sons again. Great job to Horace and Chris!! Horace, Mark, and Will were great! Professional, efficient, and took great care in my move. Gene and Will were amazing. They worked fast and efficient and completed the job with no issues, nothing broken or scratched. These guys knew what they were doing and made everything look easy. I would definitely use them again!! Thank you Woody and Sons for a smooth process from quote to job completion. I wasn't there but it took them two hours to move our apartment. Nothing was broken and my girlfriend said it was a pretty good experience. Thanks for making this seamless. Great experience. Guys really hustled, were polite and took good care of my items. Great price too. Would highly recommend. Great response time and really made an effort to make our smooth go smooth. Highly recommend them. Professional and fast movers! We had another great moving experience with Woody & Sons! Very efficient and courteous. They helped us move into a new apartment today. A few days before the move I had to add an additional stop for pickup (which was an hour away) and Michele helped plan the entire process. She was very nice and helpful. The two men that moved our stuff were very friendly and efficient (Mark and Jeremy I believe). Two out of the 3 stops were on the 3rd floor and everything was done within the estimated time frame. Very smooth process. Would definitely use their services again. The movers were efficient and wrapped everything very well! I was very happy with the service. I would definitely recommend Woody and Sons. The entire process from getting a quote to the actual move was flawless. They were extremely responsive when I requested a quote and gave us a great deal. The movers arrived on time and were very professional. They made sure our belongings weren’t damaged yet they worked fast. I’ll surely use them again in the future. Michelle was very nice on the phone every time we spoke and the 2 guys that did the moving were great. My first complaint is that they charge 7% for using a credit card! I understand small businesses passing on their credit card processing fees to customers, not saying I agree with it, but I understand it. What I don't understand is what credit card merchant charges 7%, in my experience, most charge 2% to 3 1/2%. The second complaint is that I requested a quote almost 2 weeks before the date I planned to move, I spoke with Michelle 3 days before the move date to clarify a couple questions (one being about the excessively high credit card fee) and at that time booked it since they were still the lowest quote of the 3 I researched, even with the extra 7%. A few hours later she called me back and told me the zip code I was moving to had an extra $100 charge because it was out of their moving area. Since their website says the following: "All pick up cities or destinations located within the below listed cities are considered a “local move” which we provide the same fair, affordable and competitive local pricing for, no matter the distance between destinations!" and my storage unit and new home were both in the listed cities, and I gave them my address in the initial quote request, I didn't think they should've charged me the extra $100. Michelle said there was nothing she could do about it, someone else, the owner I guess, said it had to be added on, and since I was supposed to be moving in 3 days and was in the car driving back from my vacation, I went with it rather than try to schedule with another company. Since I feel I was over charged $100 and charged an excessive credit card 'convenience' fee, I would not recommend nor use this moving company again. Mike and Kelvin were great. On time, on budget, professional, compete, careful, courteous, flexible. Could ask for more. Gene and Will were awesome. They were friendly, professional and efficient. They started working right away and finished the job on time. I would definitely use Woody and Sons services again. Michael and Carlos were amazing. They were speedy and professional. They handled every piece of furniture carefully and were very friendly. We would definitely hire them again for future moves. I'm a happy camper. Thank you Jamey & Zach for great job! It was very fast and professional. I'd definitely recommended Woody & Sons Moving company. These guys more than met my expectations! Service was prompt and the job was done in about 4 hours. We only wanted them to move the larger items in our house. They wrapped each item in moving blankets and then secured the blankets with plastic wrap. These items were ready to travel across the country but we only moved 20 minutes away. Mike and Carlos were polite and let us know what was happening every step of the way. We'll definitely ask for them the next time we move. Thanks, Woody and Sons! They moved us efficiently & professionally. They didn't harm a thing. I highly recommend the. They handled my move from Largo to Weeki Wachee, FL. We were extremely impressed with their professionalism from start to finish. The team was efficient and worked fast. Their rates were fair and came in under the estimate. We would definitely use them again and recommend them to all wanting a great moving experience. My second time using Woody & Sons. On time,quick and no surprises at payment time. Will use and recommend them. 5 stars. They made my life so much easier. Would not hesitate to use them again!!! Very pleased with their service. Polite and on time and the work very hard to get things done quickly. 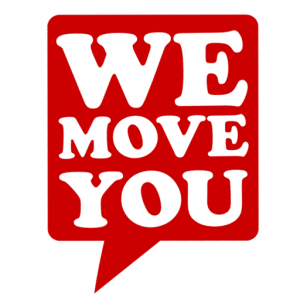 Our movers were professional and efficient and the price was very reasonable. We'd definitely use Woody & Sons again! Awesome!!!! Jerome and Gene arrived on time, were very quick & professional. Everything was perfect! FAST, FRIENDLY, PUNCTUAL, AFFORDABLE. I AM NOT LOOKING TO MOVE ANYTIME SOON, BUT WILL DEFINATELY RECOMMEND THEIR SERVICES. A great experience! Very professional movers. Really nice guys that were pleasant to work with. Thank you for a great move! The movers were friendly, and treated our things like their own. They worked quickly and efficiently. Would recommend and use again. They totally saved the day! Stepped in to move us after Hurricane Irma unfortunately shut our other moving company down. They honored the previous bid we had received as well. Super fast in calling me and responding to me. On moving day, our two amazing moving guys showed up promptly and quickly talked me through their process. They seemed to fly around my house and I never even saw them stop for a break! Took 1/2 of the time we estimated and took great care of my belongings. Can't say enough praise for these guys! Thanks. ? This is the 3rd time I have used Woody & Sons for moving and I will continue to use them in the future! Sarah and her Team are always responsive, affordable and extremely professional! Thank you Woody & Sons for always taking the stress out of moving. Good, hard-working efficient, local laborers. Full time employees, everyone speaks English, no temporary workers used, nobody used from the Home Depot lot. A solid business - to be trusted with your move and getting the job done right and quickly! We have had them twice now and both times they were great. Very friendly workers, Did a great job on making sure everything was covered and taken care of. Would use them again. Sarah and her crew are always accommodating, caring and very professional. I highly recommend them for your moving needs. Jeremy and Geno killed it. Thanks guys. Great service on the hottest day of the summer! Great service. Easy to set up. Hard workers. Saved money and time. Woody & Sons is a great moving company. They were on time, quick and reasonable. My move turned out to be less than the estimate too. James, Jay, and Jeremy were awesome. Showed up early, worked hard and fast, took great care of our things, and were extremely courteous and professional. On top of everything they are very affordable. Highly recommended!!! We used Woody and Sons for packing and unpacking services. They were outstanding. They were pleasant to work with and made an extra effort to organize and make sense of our large move. Unpacking was handled efficiently and the crew remained cheerful in spite of the time it took to handle such a large unpack.Crown Marc and Otis are outstanding energetic and so hard working. Sarah managed to fill in supplies we needed and the whole experience was amazingly efficient. We highly recommend this company. Moved 3 rooms of new furniture that had been delivered to current house due to delay in new home construction to new home. Helped assemble beds and roll top desk. Not a single ding, dent or scratch. Finished in 4 1/2 hours, an hour and a half early. Worked hard. Protected everything as if it were heirlooms of great value. Hard workers. Fast and careful. Great movers. Joedy and Jeremy were terrific. I highly recommend Woody & Sons. They exceeded all of my expectations. This was the best move I have ever experienced. My movers (Crown, Joedy, and Jeremy) were professional, fast, on time, and high quality. They treated me and my family as if I were they're own family. These guys are the best, and they're very affordable too. Mark and James arrived on time, in fact earlier than requested. They called first to see if this was acceptable and it worked well for us. They worked quickly and efficiently. Both men were also easy to work around. If needed, I would use Woody & Sons again. Their pricing was fair, competitive with no surprise fees on moving day. I have never written a review publically before but felt inclined to review the amazing crew from Woody & Sons. First, Sarah was very prompt in responding to our initial request. Very honest and straightforward about logistics and price. We felt very taken care of from the beginning. Then, on moving day, we couldn't have asked for a better crew. Krown, Otis, and Joe were not only knowledgeable and careful with our belongings, but they were quick and trustworthy. We never worried for one second about their care as we saw how hard working and delicate they were being with our belongings. We also enjoyed spending the day with them as we genuinely enjoyed their company as well! We cannot say enough wonderful things about Woody & Sons! Feel comfortable trusting your move to them! We will for sure if we ever move again. Thanks for everything!